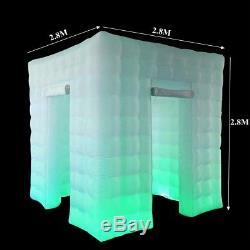 Product Name: Inflatable LED Photo Tent Product appearance: Cubic. Entry way: single door, double door. Material : 0.5mm PVC Material Tent Color: Black, White LED Color: Red, Green, Blue, White, Yellow, Cyan, Purple Input Voltage: 110V Control Mode: Remote Controller. 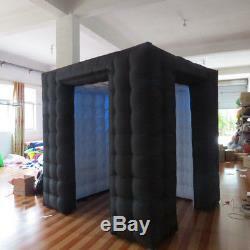 The Square booth Size : 2.8M x 2.8M x 2.8M /110.2"x110.2"x110.2" 3M x 3M x 3M /118.1"x118.1"x118.1". Item name: LED Strip Power Input Voltage: 110V Max. 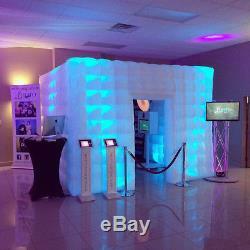 Attractive, unique and easy to assemble the LED Photo Booth will not only snap memorable moments but will become one as it is always a popular feature people will look back on and talk about. Lightweight, spacious but yet durable. 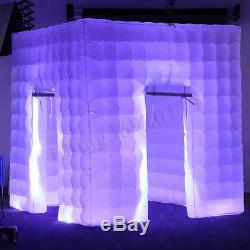 Requires no struggle to assemble or take down before and after parties. With only a couple minutes of inflation the booth is ready to go. The roomy booth allows for reasonably sized groups to enter at once and take group pictures with feeling cramped, uncomfortable or claustrophobic. Built-in fan and LED light. 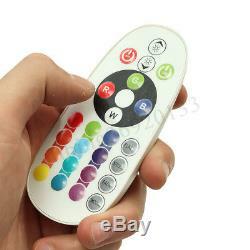 Easily controlled with a remote control, allowing you to control the variety of options. Easy to clean and maintain. 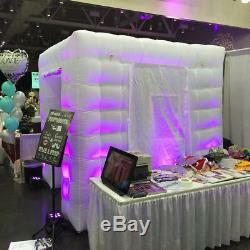 Perfect for Weddings, Corporate Events, Proms, Birthdays and Parties. 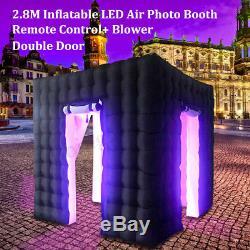 1 x Inflatable LED Photo Tent With built-in light strip and blower 1 x Touch Screen Remote Control Note: No photographic equipment, screens, accessories etc are included in this sale. Repair kits and material patch 2. RGB LED lighting tube and remote controller. International buyers please note: a. 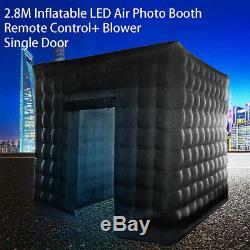 The item "2.8/3M Inflatable LED Light Photo Booth Tent Birthday Christmas 7 Color +Control" is in sale since Thursday, October 18, 2018. 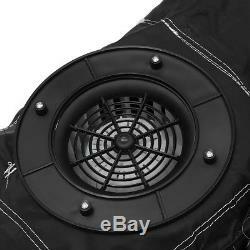 This item is in the category "Cameras & Photo\Other Cameras & Photo". 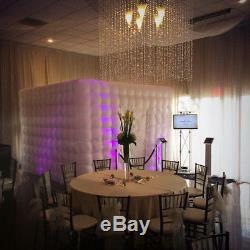 The seller is "libing36920133" and is located in Alloway, New Jersey. This item can be shipped to United States, Canada.